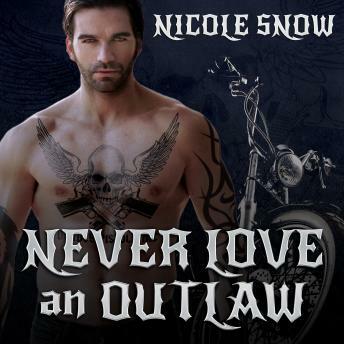 Megan: I wasn't supposed to end up in an outlaw biker's bed. I wasn't supposed to love it. I definitely wasn't supposed to crave his fiery kisses, beg for his touch, or ache to know the man behind the evil-looking ink and scarred smirk. I was the good girl. He was the monster. Then everything changed. I became a prisoner. I prayed for Skin to save me. He did-and he kept me for himself. Skin: I went psycho when I saw her in that dirty whorehouse. She's everything I never wanted, a spitfire with a body meant for claiming. Then she told me her secret, and I almost needed a straitjacket. I saved her life instead. I gave her a second chance. I know she's a marked woman, caught between my club and the bastards I killed. Damn if I won't make her wear my name, even if she's trouble on two long legs I can't stop picturing wrapped around me. I'll brand her, bed her, own her, no matter how much hell I'll pay.